VILLAS AND APARTMENTS TO RENT IN NERJA, SPAIN. Welcome to our selection of holiday homes to rent in Orgiva, Spain. Orgiva is a small town around 60 kilometres from Granada in the Sierra Nevada Natural Park. Although it has only a few thousand inhabitants, its ideal position for exploring the countryside in the Valle de Lecrin means there are no shortages of hotels rooms and restaurants to choose from in the busier summer months. The area is popular with day trippers from the coast too, who are looking to escape the crowds for a few hours. The town itself has some interesting historic buildings, including churches and palaces, but one of the most popular tourist attractions is the Sala Cervantina Agust�n Mart�n Zaragoza which contains 150 copies of the classic Spanish novel, Don Quixote, in 42 languages and even three different local dialects. Otherwise, you can just spend your time exploring the winding streets or joining in one of the many religious and cultural festivals which take place in Orgiva every year. Easter is particularly important in this region and locals here make their own special kind of sweet doughnut which is given to children (and adults) during this festival. The countryside around Orgiva and into the picturesque and mountainous Valle de Lecrin is ideal for walkers and mountain bikers, and there are even some equestrian centres nearby which can arrange days pony trekking on suitable paths. The area is dotted with orange groves, castles and even Roman ruins, making a drive through the region a mystery tour, whichever direction you set off in. There are plenty of circular walking routes too, which are marked on the ground or on maps that can be picked up from the tourist office in the town, allowing you to park up your car, explore the valleys and fields nearby and then return to your resort by the evening. If you fancy an activity a bit more lively than walking or horse riding, the hills around Orgiva are also known for their more extreme sports, such as rock climbing, canoeing and even para-gliding from the cliff tops over the valleys below. There are over 40 different climbing routes in the area around the town, of varying difficulties, and local clubs will be happy to take you out with their members if you get in touch in advance. The River Guadalfeo becomes a haven for canoeists and kayakers in the spring months, once the snow on the higher peaks have thawed and the rivers start to flow a little faster. Again, there are some routes that are more suited to those with experience, while local clubs will be able to help you out with renting equipment. 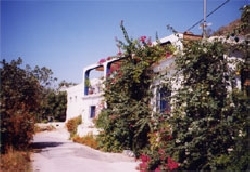 Looking for self catering holiday accommodation in Orgiva? Then below is a selection of holiday villas in Orgiva and holiday apartments in Orgiva that can be rented direct from their owners. You can either click on each listing for further details or you can use our search engine on the left if you are looking for something in particular.